The cat-and-mouse battle between Apple and the jailbreak community appeared to take a swing in the Cupertino’s favor this week with the release of the iOS 8.1.1 download. The update, which patched a number of bugs whilst refining the general user experience, also plugged a few holes that the Pangu team had exploited to provide an untethered jailbreak for iOS 8.0 / 8.1. 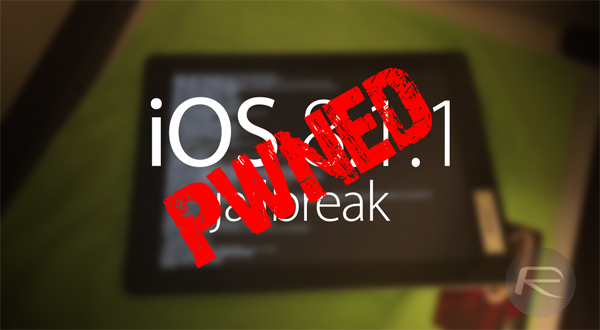 But despite the setback, the hard-working devs and security experts have soldiered on, and one of the most recognized names in the business – iH8sn0w – has just demonstrated an untethered jailbreak on iOS 8.1.1. As we roll through the iOS firmware generations, the probability of a jailbreak naturally lessens every time. But given the dogged approach of Pangu and now iH8sn0w, you wouldn’t know it, and with only a matter of days having passed since iOS 8.1.1 first hit the download channels, we’ve already proof that an untethered jailbreak is possible. Unfortunately, though, it’s hard to get too excited at this point. No less because iH8sn0w has already confirmed that the progress, which has been achieved in collaboration with fellow dev / hacker XanderKitteh, is limited to 30-pin devices running on iOS 8.1.1, and moreover, that a release is unlikely to occur any time soon. The famed security expert has expressed his desire to look into the newly released iOS 8.2 beta, which would seem a more progressive build to jailbreak, and even though iOS 8.1.1 is still hot off the press, it seems just a tad bit likelier that we’ll see at least one more jailbreak on iOS 8. This uses some new research. . . (not bootrom related[aw ik], but not HFS either). Still only limited to working with 30pin devices due to no serial over lightning. This does not mean a public release of something jailbreaking-related is coming from me anytime soon. So don’t update. This "new research" is quite encouraging, but as expressed above quite clearly by iH8sn0w, do not update if you wish to preserve your device’s jailbreakable status. If you happen to be running any flavor of iOS prior to iOS 8.1.1 – i.e, iOS 8.0.1, iOS 8.0.2 or iOS 8.1 – then you will be able to jailbreak untethered using Pangu8 irrespective of the device you own. But once you make the jump to the latest build, you will be stuck without the possibility of a jailbreak. Whooo! Tim Hortons is an unofficial sponsor for jailbreaks! Has anyone got it to work?! Since when ih8sn0w has released a jailbreak or something else than just a jb demo on video? For obvious reasons, I wouldn’t hold my breath for the jb coming from him. Nice! Now to wait for Pangu Team to give an actual jailbreak and not just a concept. I know what u mean. bigU Movies is one of my top 3 fav Cydia apps. I just watched Interstellar and it was an awesome movie. Jailbreak will happen on iOS 8.2 most likely. That will be when Apple Watch is released. The elegance with Pangu’s two jailbreaks is that the single jailbreak works on all devices. As long as iH8Sn0w and XanderKitteh’s jailbreak does not work on some IOS devices, it’s not a complete jailbreak in principle. And there is nothing to show off. So you two jailbreakers just keep your hard work. Working good very much so yes. Have early beta and only had problem with lightning cable devices. Only working on older and bigger plug. Is good so far. “…the probability of a jailbreak naturally lessens every time.” I have to disagree with this statement; Apple isn’t slowly working to a pinnacle of perfection with iOS, they are writing new code all the time, and with new code, comes new bugs, and vulnerabilities for jailbreakers.